Court is not always the best option. The Law Offices of Kopald & Kopald offers innovative alternatives to solve your legal issues. Attorney Steven D. Kopald has over thirty years of private practice experience in business, real estate and family law matters. His solution-focused collaborative approach can solve complex legal matters…often without the pain and expense of litigation. When it comes to solving your legal problems…one size does NOT fit all. 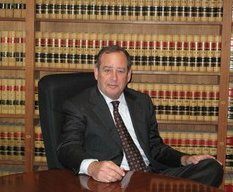 a licensed attorney in California since 1976. In the more than thirty (30) years since, he has been involved in many facets of the legal profession.